It would probably not be an exaggeration to say that the community of North Korean escapees in the South did not become prominent until the 1990s. With a rapid increase in numbers, their testimonies became the primary method of studying North Korean society. Yet, the history of this community precedes the 1990s by decades, and in this column, I would like to focus on some prominent people who fled from the North to the South during the Cold War. Any historical study is supposed to formally have limits: when the period of study begins and ends. In this case, one can say the beginning is set by the Ministry of Unification. An “escapee from North Korea” is a person who fled the DPRK after the Armistice agreement, which was signed on July 27, 1953. The end date of the Cold War era is not as easy to determine, as in some way, this war is still ongoing in Korea. Yet, for the purpose of this piece, I chose June 29, 1987 as the end date: the day when democracy triumphed in the South. Since that day, relations between Seoul and Pyongyang became quite different, as they became influenced by the now-democratic ROK’s civil society. This was a rather small community – less than a thousand people escaped the DPRK in those years. It was also, mostly composed of people who had more opportunities to escape – like fishermen or soldiers in the areas close to the border. These people were mostly men, contrary to the trend of recent decades, where escapees from the North are mostly women. Quite surprisingly, no North Korean diplomats ever fled to the South in the years of the Cold War – Pyongyang’s system of selection of people to work overseas, as well as the principle that their families are to be held hostage in North Korea, worked flawlessly. Officially referred to as “Heroes who returned to the legal authority” (귀순용사), these people were always welcomed by the South – their choice was proof that Seoul’s way is better. There was no Hanawon or other institutions for their adaptation, but the period of time after arrival where they had to live in the custody of South Korean intelligence was quite long, usually up to a year. During this period, they typically held a press conference (having already met with journalists on the day of their arrival, but only briefly) and participated in events in various cities of Korea, during which they talked to local citizens. As these people were few – and important – the payment they received was most generous. 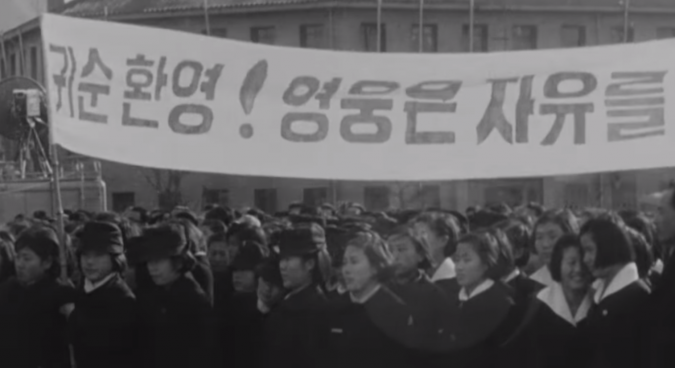 The state did not ask them to produce lies about the North, though the unofficial policy under the military regime (unlike now) was “aut male aut nihil” – they were normally expected to tell the truth, but only the parts which were in line with Seoul’s discourse. Sometimes the state summoned them to write some propaganda to be sent to the North, and during these sessions, these people got to know each other, and some of them became friends. Not every escapee of this time was a member of the DPRK elite, yet the people who later became prominent mostly were. The following are eight different biographies of these unusual men. The very first to come to South Korea after the war was An Chang-sik, a captain of the North Korean army. It was July 31, four days after the armistice was signed, when he was accepted by the 111th Armored battalion of South Korea, and thus set a record. Of course, fleeing the North was infinitely easier then than it is now, as they had only just started to set up the new inter-Korean border. Should he have fled a week before, An would have become a mere historical footnote, but he did not, and will be thus forever remembered as escapee #1. Very few things are known about An Chang-sik. He was born in the Sangnam district of the Kapsan county of South Hamgyong Province and was an officer in the Fifteenth Division of the KPA. He said that he had wanted to defect since 1952, and only found the chance in July. His relatives, according to him, most likely had already fled to the South, too. After fleeing to the South, he said that the North Korean army was demoralised and could not hold the frontline. It is possible that he said what Seoul wanted to hear – the South Korean government at the time was set to continue the war, and An, being the first escapee, could not know what would happen to him should he not cooperate. 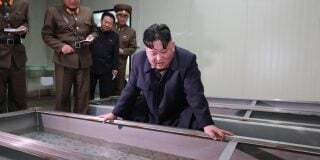 Later, An’s escape was used by South Korean military propagandists, who hoped that his example would be followed by saboteurs the North sent to the South. An Chang-sik himself never appeared in the news again – until his death in 2002, 49 years after his escape. Of all these men, undoubtedly the most well-known person outside Korea is No Kum-sok. On September 21, 1953, this man, a pilot in the North Korean army, took his plane and flew to South Korea – to the great embarrassment of Pyongyang. No wanted to become a pilot since his childhood, and, being a patriotic citizen of the Empire of Japan, even considered becoming a kamikaze. 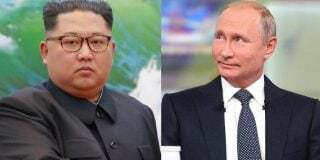 Yet the war was over in 1945 when he was thirteen, and as a citizen of North Korea, No applied to the naval academy and then moved to the air force, receiving training in Manchuria. 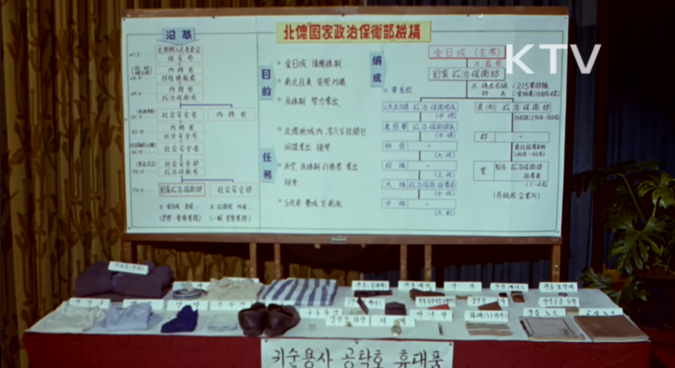 He was an officer of the KPA during the entire war – until he decided to flee. No, himself, later stated that he never liked communism to begin with, though this certainly raises questions as to why he fought for the DPRK in the war. Perhaps the more likely reason for his move was his mother Ko Chong-wol, who was in the South. On September 21, No took his MiG-15, and in 17 minutes, landed in South Korea. The DPRK did not notice his escape until it was too late, and the radar was temporarily shut down at the Kimpo base in the South. His arrival was a great shock to everyone, but perhaps most of all to No’s mother. One can only imagine how she felt. Like so many others who lost contact with their relatives during the War, after the armistice was signed, she thought that she would never see her son again. And in less than two months, the news says that a pilot flew from the North and that this pilot is her Kum-sok. As declassified Soviet documents show, Pyongyang reacted to No’s defection with bitter regret. Pak Chang-ok, a top official in the DPRK, told Soviet diplomats: “There is a rule that people who have relatives in the South are not allowed to fly. This pilot’s mother was in South Korea. The Ministry of Internal Affairs did not consider this during a check. There is a rule that the planes are to fly in twos, yet this one was permitted to fly solo.” It is quite ironic that Pak himself was purged within a few years. In 1954, No moved to the United States and took the name “Kenneth Rowe.” This family name was likely chosen since it is similar to an archaic form of No’s own surname Ro (로). He has lived in the U.S. ever since, where he continued his work in aeronautics. Kenneth Rowe is still alive and, being born in 1932, he is now in his late 80s. Lee Phil-un was born in the northernmost part of Korea in the colonial age. His family was firmly in opposition to the colonial government and had no objection to becoming North Koreans in 1945. This may seem like an odd decision since his mother was a Christian, but it had been some time since the crackdown on Christianity had become common in the North. Soon, Phil-un joined the ranks of the new-born North Korean Navy, where he served until 1965. 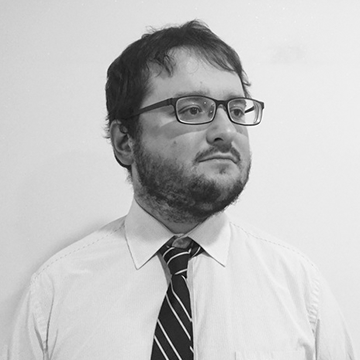 Lee recalled that, during the service, he had heard a lot of propaganda about building a future communist society – a narrative now gone from the DPRK. He also recalled that even at the time, the KPA was extremely reluctant to grant a leave of absence to its soldiers and officers – Lee received his first in 12 years after he became a Navy man. 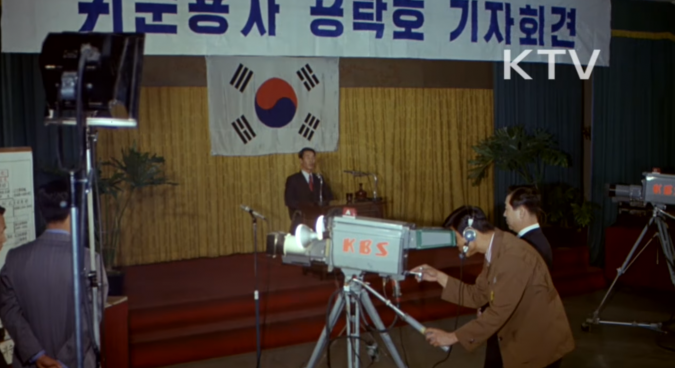 As it was before the massive crackdown on free-tuned radios in 1967, Lee had an opportunity to listen to South Korean broadcasts. He was especially fascinated with reports on the April revolution in 1960 that led to the collapse of a dictatorial government in the South. Thus, he, a Navy Senior Lieutenant (대위) of the KPA, fled to the South in November 1965. Lee recalled that during his journey to the South, he was praying to “the God of my mother,” despite being a firm atheist before and even having quarrels with his mother on the subject of religion. His escape did look like a miracle – the North Koreans noticed his boat and set torpedo boats to intercept, but at the last moment, they were counter-intercepted by South Korean ships, which took Lee aboard. In these years, a somewhat unusual policy was still in place for officers who fled the North – they were admitted to the National Army while keeping their rank. Thus, Lee Phil-un was given a corresponding rank of Lieutenant and later rose up in ranks to Captain (대령). It shows, that at the time, Seoul really perceived North Korea as a part of its own nation, not as an enemy country – otherwise such trust would likely have been impossible. In 1967, Lee married a South Korean woman, with whom he lived together until his death in the 1980s. Kong Thak-ho was born in North Korea after the country was already divided. In 1962, he was admitted into the ranks of the North Korean police, in the Ministry of Social Security. With the separation of the police to the criminal and secret divisions in 1973, Kong was chosen to serve in the latter – the Department for Political Protection of the State (DPPS). He was serving in the wiretapping department, and was sent to Pyongyang to train before being assigned to work in Kaesong. It was another day of ideological exercises, and Kong was sitting in a room with a volume of “Selected works of Kim Il Sung” opened in from of him. Suddenly, he noticed that no ink was coming out of the pen. He shook it and then it happened – a drop of ink fell out of the pen and fell directly on the portrait of the Great Leader of the Revolution. Kong Thak-ho was struck with fear, for he knew that if anyone would notice it, this would surely mean death – he had seen people be executed without trial for less. Calmly, hoping that no one noticed, Kong closed the book. The lesson was over and he went home. It seemed that he had managed to avoid disaster and all that was left was to burn the evidence. But when he was preparing to set fire to the book, the door of his apartment opened and his boss came in. Without saying a word, he took the book out of Kong’s hands and left. Kong understood that this was the end. Spoiling the portrait and attempting to burn the teachings of the Great Leader – there was no way that he could avoid capital punishment. His boss, apparently, did not have a sanction for his arrest, but it was only a matter of hours. The doomed man started thinking about suicide – but then, suddenly, a ray of hope struck him. 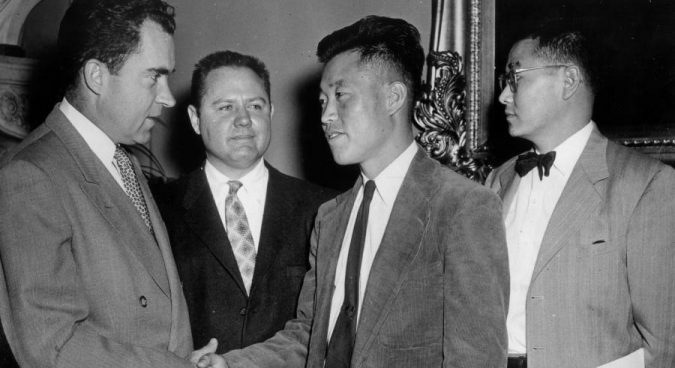 Kong remembered how he had been – as a part of his duty – listening to South Korean radio, which had been calling for the Northerners to flee to the South. He never thought before about answering the call, but now, it may have been his only chance for survival. Kaesong, where he lived, was so close to the South, and he, being a secret policeman, had a pass to the Demilitarized Zone. Calmly, Kong left his house, understanding that, in any case, he would not be going back. No one was there to get him – yet. He took a bus to the southernmost part of the city, and again, no one stopped him. Kong then started to move in the direction of the restricted area and showed his pass to the guard. Apparently, even if the authorities had found out, the guards were not informed about him yet. They let him in, and the secret policeman, who was now a wanted criminal, started to move towards the South. He was lucky, as he did not meet any patrols in the DMZ. He walked, and walked, and walked, and, finally, he saw a South Korean guard post ahead. It was then when Kong Thak-ho understood that, miraculously, he managed to avoid certain death. Finally, he was safe. That same evening, Kong was dining with South Korean soldiers. Even in the 1970s, the difference in the level of life between the North and the South was noticeable. Kong’s first impression was the food in the soldiers’ canteen – even in the secret police, he was not served what the ordinary soldiers ate in the South. He was crying while eating his first meal. After being interrogated by South Korean intelligence, Kong gave a press conference. He said that the atmosphere in the North was harsh, as people expect a war with the South to break out. On the other hand, the book was quite honest. Kong did not try to whitewash his story by presenting himself as a hero who was always opposing the regime. His book made it clear that he had not been a dissident. He was a member of the secret police who did not want to be killed – killed for an action which in any sane country would carry no punishment. Kong Thak-ho lived in the South for more than a decade, and was married to a South Korean woman. People did not remember Kong as a malevolent person, however, other accounts say he was a womanizer and a heavy drinker. He passed away from cancer on July 3, 1987, less than a week after the fall of the military dictatorship in South Korea. An Chan-il was born in Sinuiju to a family of Party cadres. Until the 1960s, the family lived well, but then some of his relatives suffered a demotion during a purge, which coincided with the dramatic strengthening of control in 1967 – the year when so many things changed. Yet, since they were demoted and not purged, An’s songbun and kyechung were still high, and he was sent to serve in the southern border area. An Chan-il was a good soldier. He joined the Party sooner than many and wanted to enroll in a military university. But his superiors, seeing a bright young man, suggested he go to a civilian college – like Kim Il Sung University – and become a scholar. This later proved to be their undoing. An saw how the lives of military men were so much better and saw graduates of Kim Il Sung University who were living a poor life. After his application for a political academy was overridden by his superiors, An decided to flee. On the night of his first attempt, the division commander organized a surprise drill, so he decided to try again the next night. This time, he was successful. The day was July 27, 1979 – the anniversary of the Korean Armistice. An angrily thought that this army apparently did not have a good sense of discipline – is he not armed, after all? – but simply answered, “From the North.” Then the soldier understood and alerted every possible superior of the situation. A Northern soldier crossing the DMZ – this was a most unusual event. It was during the time when An was living in the custody of the South Korean intelligence that president Park Chung-hee was murdered, and soon, a coup replaced his successor with another military dictatorship. The young man could not understand what was going on, but the intelligence officers told him that he was safe. The democracy movement was another source of unease for the young man. He remembered how he was looking at the announcement of the Prime Minister that the president will now be directly elected and the military regime is going to transfer power to civilians, and felt that he really did not know what the future would hold. Ironically, in the South, An chose the career of a civilian scholar – the very one towards which his commanders in the KPA tried to push him. He got his PhD from a South Korean university and remains a prominent member of the South Korean academic community. Kim Chin-gye’s biography is quite an unusual one, as this man lived in both the North and South for extensive periods of his life. He was born in the eastern part of colonial Korea, near the Sea of Japan. His homeland was close to the 38th parallel, located to the South of this important line. In the late colonial age, Kim was subjected to labor mobilization by the colonial government – the Empire of Japan desperately trying to avoid defeat in the Pacific War. Perhaps it was this policy which fueled Communist sympathies of the young man, and after the Empire collapsed, he joined the Workers’ Party of South Korea. The Party was soon outlawed, and Kim himself was captured and beaten by South Korean police – making him even more sure that the Southern regime was much worse than the North. In 1950, South Korea was invaded by the DPRK and Kim Chin-gye joined the ranks of the KPA. 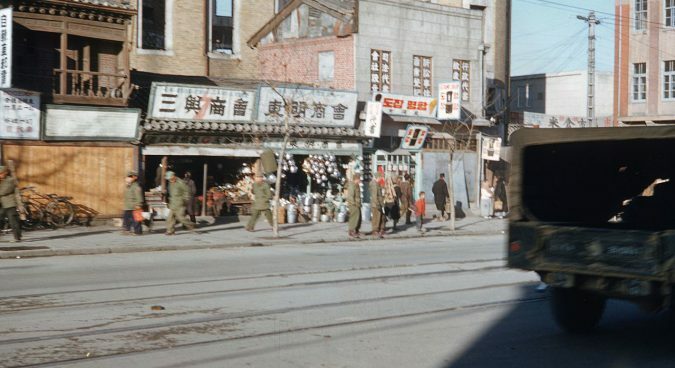 For five more years, Kim lived in the North until 1958, when he was summoned to be trained as a spy. He was sent to the South several times, and during his tenure in the North, he was observing how the country was becoming closer and closer to a totalitarian state. Like many people who lived there at the time, he testified that the true watershed was the year 1967 – when the state completely outlawed listening to foreign radio, implemented restrictions on travel inside the country, and other measures. Kim Chin-gye’s youth was spent in colonial Korea, where he was subjected to forced labor towards the end of this time. Then after 5 years in the outlawed communist party, 3 years of war, 20 years in the North, and 18 years in jail, the old man finally got some peace. He lived for three more years, before passing away in his homeland – just to the south of the 38th parallel. Not every member of the North Korean elite to flee to the South is revealed to the public – for various reasons, some of them keep a very low profile. Perhaps the most prominent example would be Pak Pyong-yop. An alternate member of the Central Committee, he fled to the South through another nation in the 1980s and died in 1998. Yet, the very fact that he lived in the South was only revealed to the public in 2010, and the way he fled to the South, as well as the exact date, remains classified even now. Born in the southern part of colonial Korea in 1922, Pak moved to the north with his father when he was still a child. With the coming of the Red Army, the young man quickly adjusted to the new situation. In 1946, he was already a member of the Communist Party – even before it was reorganized into the Workers’ Party of Korea. In 1949, 27-year-old Pak was already an instructor of the Central Committee – quite a spectacular career, but one should remember that Kim Il Sung himself was not much older at the time. This was the time when the entire social elite was changed. The colonial apparatus was replaced by people promoted by the Red Army. Pak was steadily rising in ranks, eventually becoming vice-chairman of the Party department of External information and inquiry (대외정보조사부) in the 1970s. In the early 1980s, Pak fled from the DPRK. Since the 1990s, he was quoted in different publications under various pseudonyms, to conceal his true identity, which was only revealed 12 years after his death. His memoirs about the earliest years of North Korea are compiled in books titled “Birth of the DPRK” (조선민주주의인민공화국의 탄생) and “Kim Il Sung, Pak Hon Yong, and Yo Un-hyong” (김일성과 박헌영 그리고 여운형). Pak, however, was prominent in later years, too – and this may suggest that he left out some information about the middle-to-late Kim Il Sung era, too, but this has yet to be revealed. Looking back at this most unusual and interesting community, it becomes clear that these people faced little discrimination in South Korean society and received a lot of support from the government. These were major contributing factors in their successes. A South Korean article from 1982 reveals the fate of many of these men, including those not listed in this piece. There were businessmen who, despite the economic systems of the North and the South being so different, still managed to make their way. Some worked for South Korean companies – perhaps this was the most standard way for a North Korean in the South of that age. Some also became civil servants. Military men often continued serving in the National Army, often making good careers, rising in rank to colonels (or captains in the Navy). Further promotions, however, were not easy – Lee Phil-un, for example, desperately wanted to become a Rear Admiral, and his friends suspected that this did not happen because he was from the North (although, to be fair, becoming an admiral is extremely hard for any officer). There were those who chose academic careers – like Nam Thaek-sung, who ended up chairing the South Korean Society for the Study of Preventive Medicine. At least two men became journalists, and some younger people enrolled in good South Korean universities. Not many chose to participate in politics, but some did. 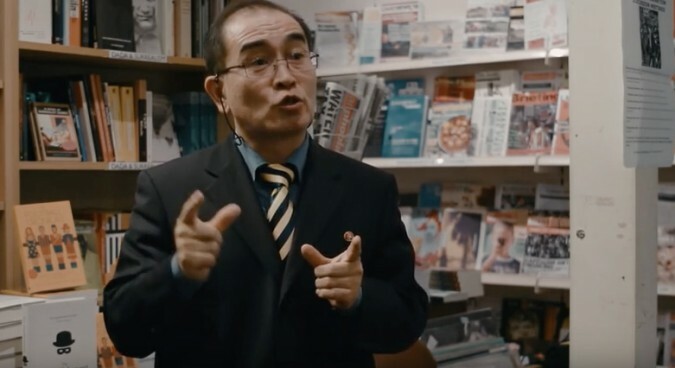 Perhaps, fittingly, the above-mentioned Kong Thak-ho, former secret police instructor, became “an anti-communist warrior,” to pick up an expression of the South Korean press. Of course, there were those who were recruited by research centers linked to South Korean intelligence – like Kim Yong-gyu, a North Korean spy who murdered other members of his team after arriving in the South – and some were employed by the Ministry of National Defense. Thus, one can say these people got their happy endings – and some of them definitely earned them. Unfortunately, this cannot be said about their families in the North: Kim Il Sung’s policy at the time was to kill close relatives of the escapee and subject the rest to a lifetime of discrimination. Subscribe to read the remaining 4211 words of this article.